Cryptomeria japonica, the Japanese Cedar, sometimes called Japanese Redwood by foresters, should be a widely planted timber tree for New Zealand. For thirty years I have been growing and promoting timber trees, especially alternative timber species to wean off our reliance on pines, which although healthy and fast growing, tend to blow down on a large scale. Pinus timber is only allowed in buildings with highly poisonous timber treatment chemicals. Cedar doesn't require poisoning to be durable and insect resistant. 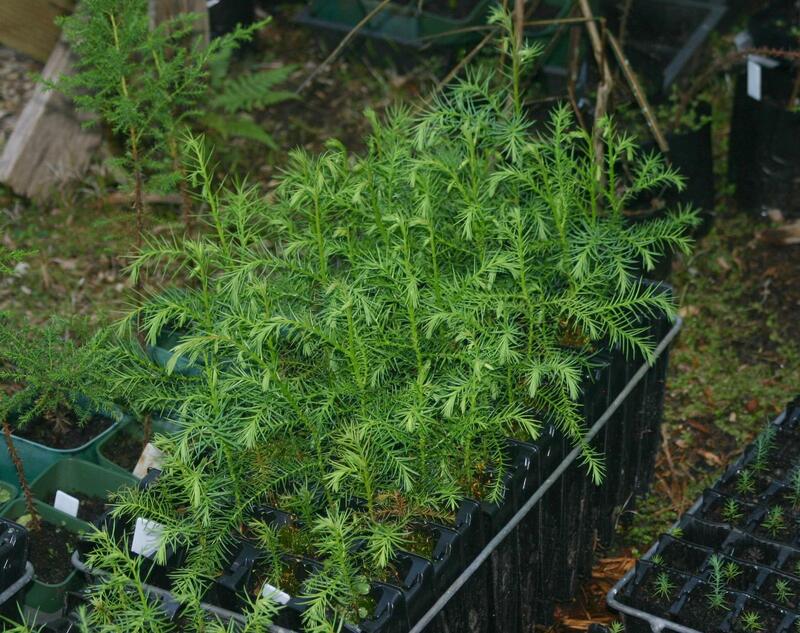 Large plantations of stable, durable Totara would be my first choice to replace pines in this country, but my second choice, and one with quicker economic potential, is the Japanese Cedar. Known in Japan as Sugi ( 杉 ) it is highly revered as its timber is light, durable, scented, beautiful and strong. Vast stands cover the Japanese mountainsides around all the main inhabited areas. 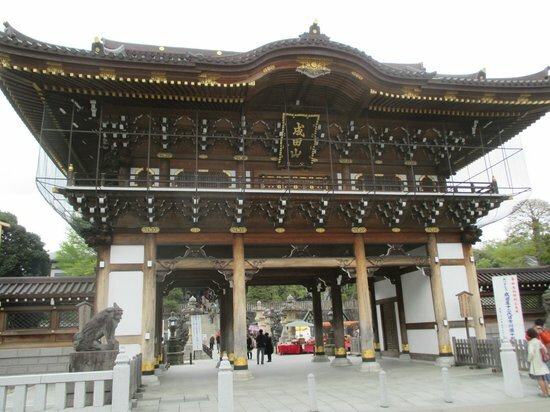 It is planted around temples for its perfection of form and ornamental quality, with examples up to 1000 years old. Huge trunks of these cedars are carefully tended over up to 400 year harvest rotations for temple pillars and gateways. Now that's forward planning! I have seen brand new pillars bigger than you can get your arms around in Narita City at the restored Narita-san Temple there. Their golden colour and straight perfect form should inspire us to grow more of them here. Especially as here on the West Coast they can grow to a massive size in only 70 years. With high rainfall, they even keep up with Pinus radiata on a well drained site if pruned and fed properly, yielding good sized six metre clearwood in under thirty years. Strong root systems resist wind throw. I recently had to mill some as they were too close to a power line; we got good bench top sized 4 metre long flitches out of two sixteen year old trees. This is fast growing by Kiwi standards: astronomically fast growing by northern hemisphere standards. We have been growing good Sugi on the Coast since early experimental plantings from the 1930s in Mahinapua State Forest. My old friend Willie McPhedran milled some and said they were long, straight, and a beautiful reddish orange colour at 70 years old. Many people will have seen them growing along state highway 6 on the south side of the Reefton Saddle. They have the shape and colour of our own native forests, resembling large olive-coloured matai or silver pines to look at, but growing five times faster. I cannot understand why we don't have huge state forests of high quality Sugi, Totara and Redwood, which would provide jobs, carbon sinks, and high value timber both for export and for building all those state houses we need. Come on Kiwis, it's never too late to plant trees, and Pinus radiata is a very poor cousin of Cedar. Ask any builder. Carpenters ooh and aah whenever decent wood like Cedar or Douglas Fir arrives on a job. They run their hands over it and inhale its spicy scent in admiration. It doesn't need poison, thus cleaning up the environment and working conditions for sawmillers and builders alike. It is even fire retardant which makes it even safer in houses or low rise wooden office blocks. This is why they are my favourite timber tree. We should be growing millions of Sugi - Japanese Cedars to assist and enrich our country in so many ways. If you are considering a woodlot anywhere with good rainfall, consider planting half of it, or more, in Cryptomeria japonica.